Get the best Research in Stocks, Futures, Options, Commodities and Forex. Not Just What to Buy but also When to Buy and When to Exit! Learn on the go! Watch our past videos and seminars on the mobile and Keep Learning on the Move. Refer to a Friend and enjoy hosts of benefits. If you are experienced in trading the markets and understand the risk and rewards futureou. If you trade in commodities, GOLD, OIL or BASE METALS, this is the single stop for all. Backed by excellent Fundamental and Technical Analysis, “Long Only” ideas are provided in. Loaded with variety of features. 1. How often do we get the research? Our premium calls have high accuracy with a good risk/reward ratio. We are not interested in force trading. 7 to 10 good tradable calls are generated every month. 2. Are these research meant for intraday trading? The calls are not intraday specific. Set of targets and stop loss are provided with the research. Generally the researches are based on positional trading. 3. What is the winning strike rate of the research? Our research has a fabulous winning rate above 70%! With each trade having a risk – reward greater than 1, makes returns very superb. 4. What is the difference between premium & promotional calls? As explained above premium calls are backed with proper entry, targets and stops. 5. At which time the research given? 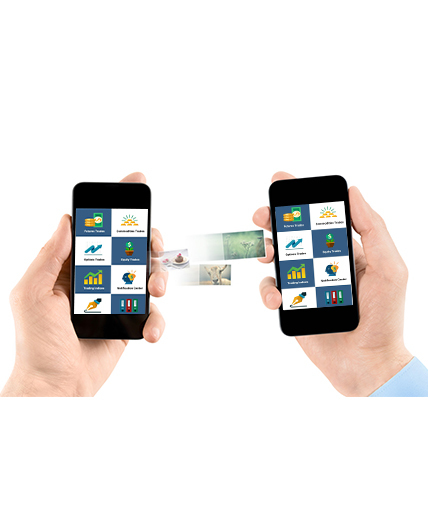 The research is delivered through mobile application before the market opens. 6. Who generates the research? These research are generated by Mr Bharat Jhunjhunwala himself, backed by his vast experience and expertise. 7. How much should be the position size? This is totally a subjective matter. Position size should be determined by the trader himself, keeping in mind his/her risk appetite. We don’t provide any position sizing guidance. 8. Can we trade in equity cash segment? Yes, you can, but you will not be able to reap the benefits of selling short in equity cash. Short selling is only possible through futures contract. Also note the stock prices mentioned are based on future value of the stock. #reliance longs be careful. Longs above 1400 only!! !